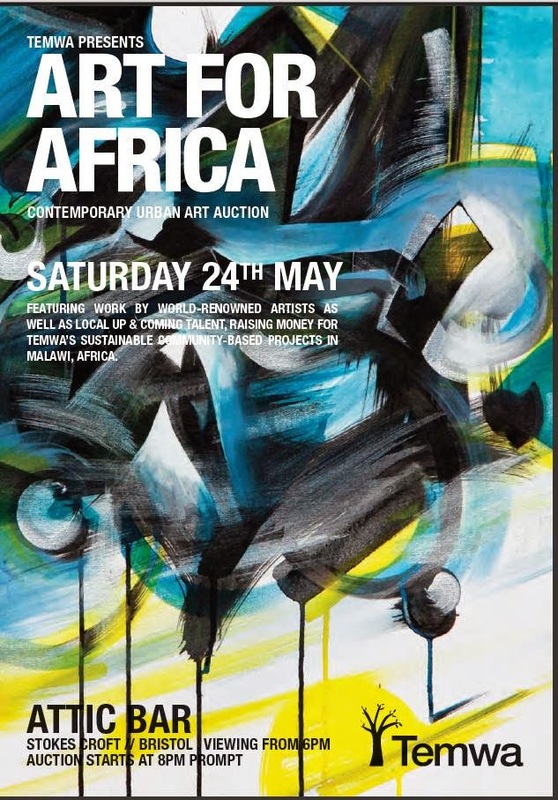 Its almost that time again for the annual TEMWA - ART FOR AFRICA charity auction. 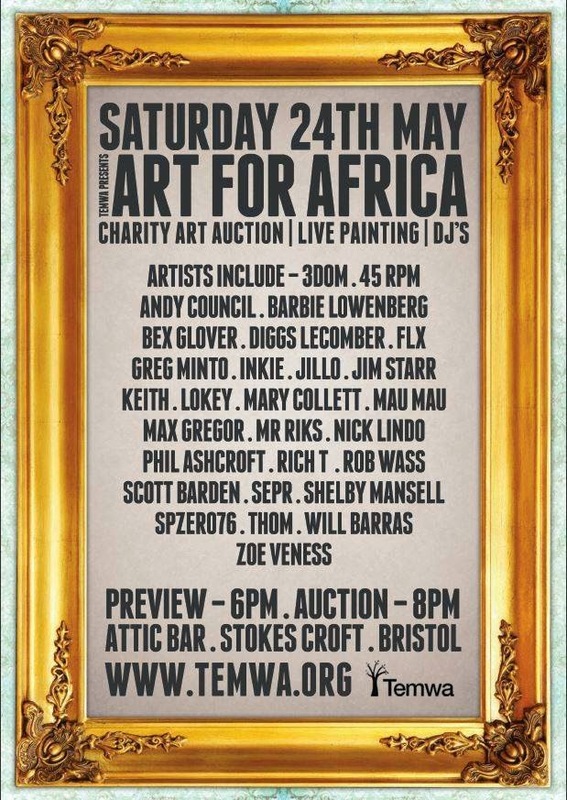 This years event is taking place on the 24th May at the Attic Bar (Stokes Croft). Check out and download the Auction catalog here. Check out their Facebook page here and the Facebook event page here. and don't forget to check out their website here.